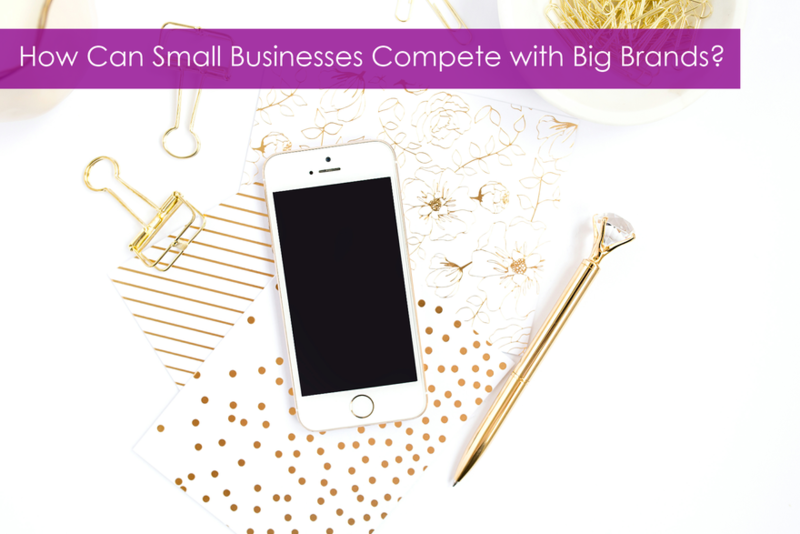 How Can Small Businesses Compete with Big Brands? 1. What do you do that is better, cheaper, faster or amazingly different than anyone else? 2. How can you leverage your ability, as a small business, to make changes and adapt to trends faster than a corporate giant? 3. In what ways can you use your ability to relate on a personal level to your customers to your advantage? 4. What are your competitors strengths and weaknesses? How can you use this information to position your business and capitalize on those attributes? 5. What niche can you fulfill better than your corporate competitor? 6. How will you position your business in the marketplace? 7. In what way can your business pivot to stay ahead of the curve with technology or other innovations? 8. How flexible is your research and development? Continue to focus on innovation to stay ahead of the competition. 10. Are you building an online community of like-minded individuals that see your business and an invaluable partner or friend? 11. Are you constantly re-evaluating your goals, objectives and metrics? 12. In what ways are you continually growing your customer base? How are you staying in touch with your target audiences and keeping them informed of your business offerings? Take the time to work through these 12 questions, then use them to inform your digital marketing strategy. Build on the strengths of your business and, in time, you will gain the competitive edge you seek. What is your unique offer and position within your market? How will you capitalize on your strengths to surge ahead of your competitors, even ones that have more staff and a larger marketing budget than you?